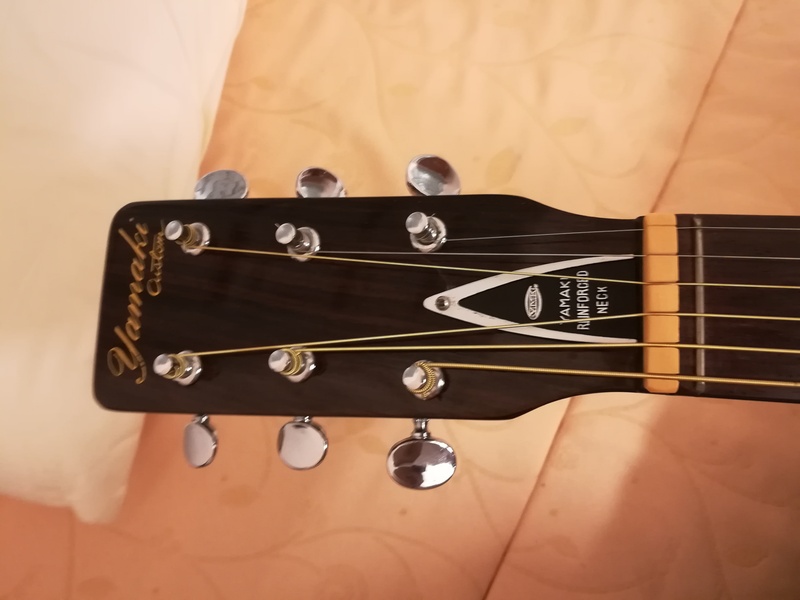 Custom No.125, Dreadnought Steel String Guitar from Yamaki. 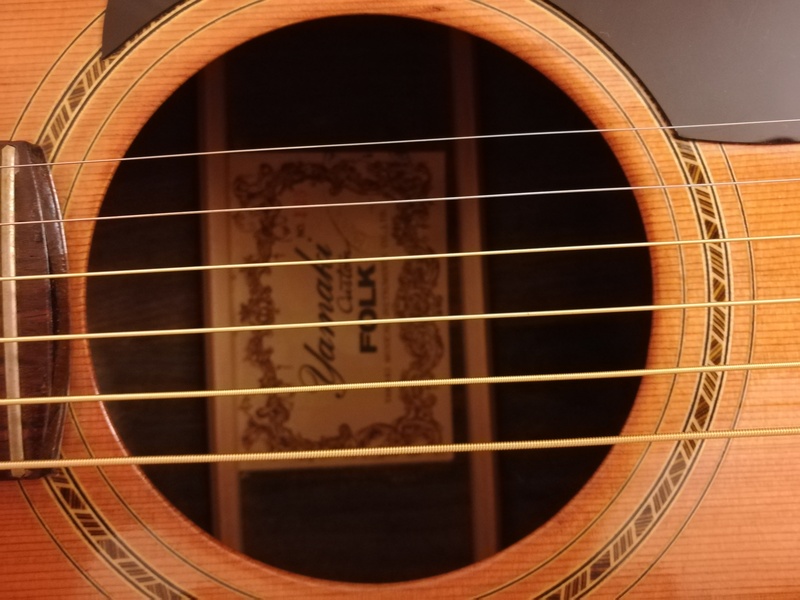 Overview: This guutar's full name is Yamaki No.125 Custom Guitar. It was manufactured around 1975, but is not anymore nowadays. 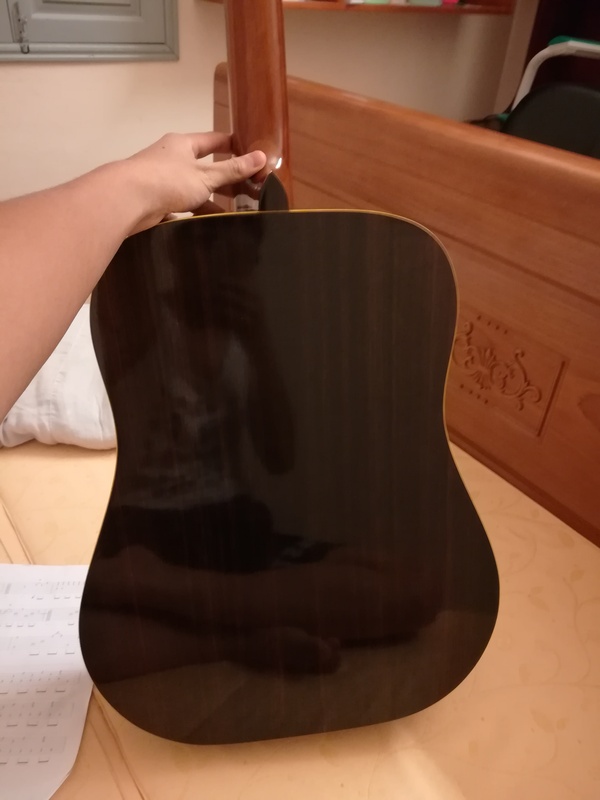 - It is a well-made guitar with top solid spruce, making its sound better over time and with back and side laminated rosewood for reinforced strength and durability. 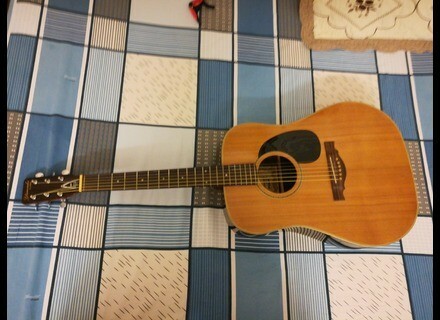 The guitar's overall colour gives off a sense of vintage as well as modernism. Sound quality: Now let's move on to the most important part. 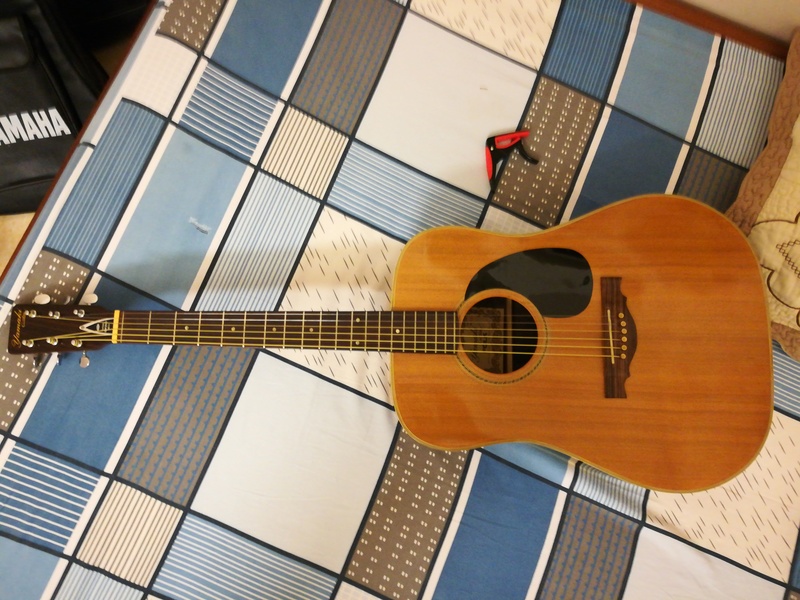 This guitar is great for playing both strumming and fingerstyle for its loud neutral tone. You can play complex techniques such as pull-off, hammer-on, tapping or harmonics with no problem. 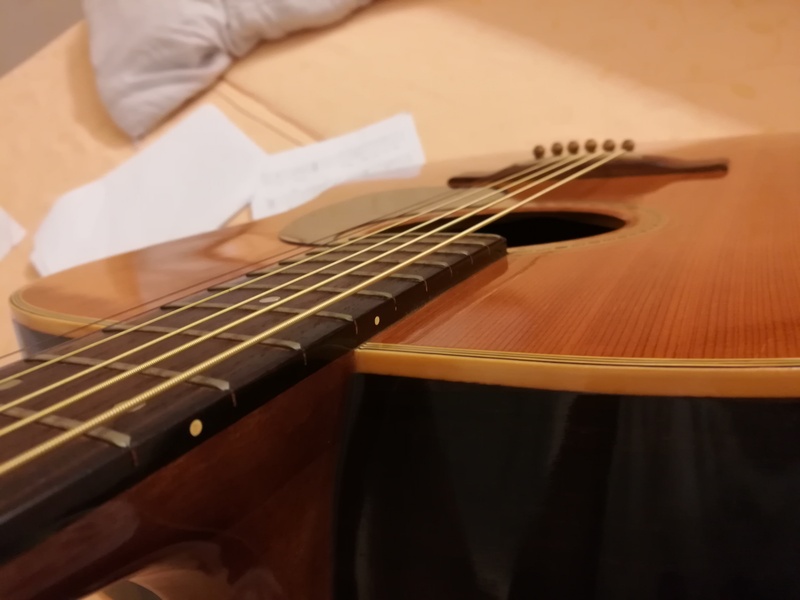 Weakness: The only problem I have experieced with it so far is that the 5th string bass sometimes sound a little weak if you don't apply enough force on your finger. 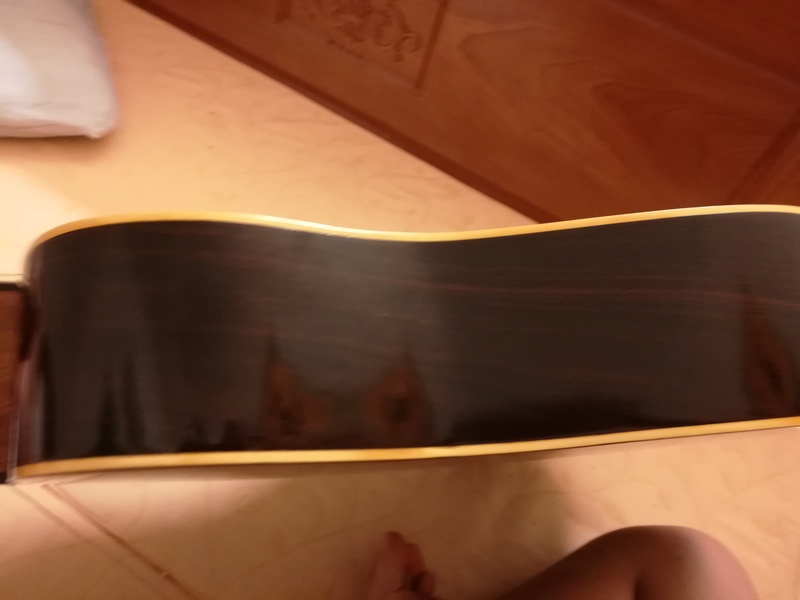 Conclusion: An amazing guitar for anyone, from beginners to professionals, from strumming to fingerstyle players.